Port Campbell is a coastal town in Victoria, Australia. Kick off your visit on the 15th (Fri): explore the wealth of natural beauty at Port Campbell National Park. Keep things going the next day: don't miss a visit to The Grotto, take in the dramatic natural features at London Bridge, then look for all kinds of wild species at Loch Ard Gorge, then explore the striking landscape at The Razorback, and finally make a trip to Gibsons Steps. For photos, other places to visit, reviews, and tourist information, read our Port Campbell day trip planning website . 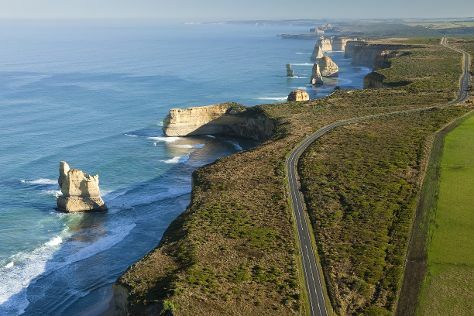 Melbourne to Port Campbell is an approximately 3.5-hour car ride. You can also do a combination of flight and bus; or do a combination of train and bus. Cap off your sightseeing on the 16th (Sat) early enough to go by car to Torquay. Kick off your visit on the 17th (Sun): stroll through Bells Beach and then explore and take pictures at The Great Ocean Road. To find more things to do, reviews, and other tourist information, refer to the Torquay trip planner . 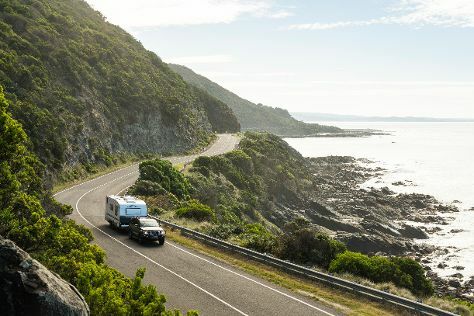 You can drive from Port Campbell to Torquay in 2.5 hours. Another option is to take a bus. In March, daily temperatures in Torquay can reach 28°C, while at night they dip to 15°C. Wrap up your sightseeing on the 17th (Sun) early enough to drive back home.